Uganda’s top safari for visitors who wish to have an average taste of Uganda’s best but are limited on time or days. 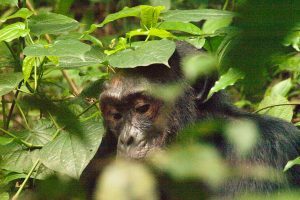 In these five days your able to experience one of Uganda’s jungles, see Uganda’s wildlife and track the mountain gorillas. A visit to Queen Elizabeth National Park one of Uganda’s renown parks provides a chance to spot elephants, buffalo, water bucks, warthogs, lions, Uganda Kobs, lots of bird life tree climbing lions and more. 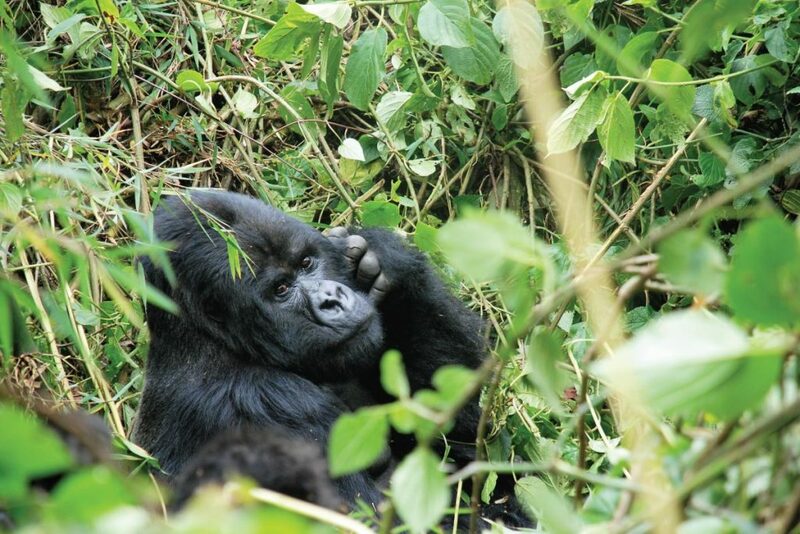 Proceed to Bwindi driving through scenic views all the way to the home of mountain Gorillas for one of the most captivating safari experiences in Africa. Meet and greet with our guide/driver at 6:4500 am from your hotel either in Kampala or Entebbe. Make a first stop over at the Equator crossing for photography. Continue for another stop at the famous cultural center at Igongo village to share and learn about the Ankole culture & museum and have a lunch break. Thereafter head to Queen Elizabeth National Park arriving in the evening for a great sunset game drive on a nice sunny day with unique opportunities for photography. An early morning game drive along Kasenyi and Queens Mile is a chance for visitors to lookout for elephants, buffalo, water bucks, warthogs, lions, Uganda Kobs, lakes and a variety of birds among others Your game drive will last up to 4 hours; thereafter return to the lodge for refreshments and breakfast. After lunch, a two hour boat ride along the famous Kazinga channel is an opportunity to encounter some of Uganda’s animals that includes; hippopotamus, buffalo, Kobs, elephants, warthogs etc. This trip also provides visitors with great opportunities to see a variety of countless bird species. Leave for Bwindi via the Ishasha Sector through the unique western rift valley escarpment. Take on a game drive in Ishasha sector to search of tree climbing lions before proceeding to Bwindi forest National Park. Today is dedicated to the Gorilla tracking experience which begins at 8:00 am with a briefing from the Uganda Wildlife Authority rangers. 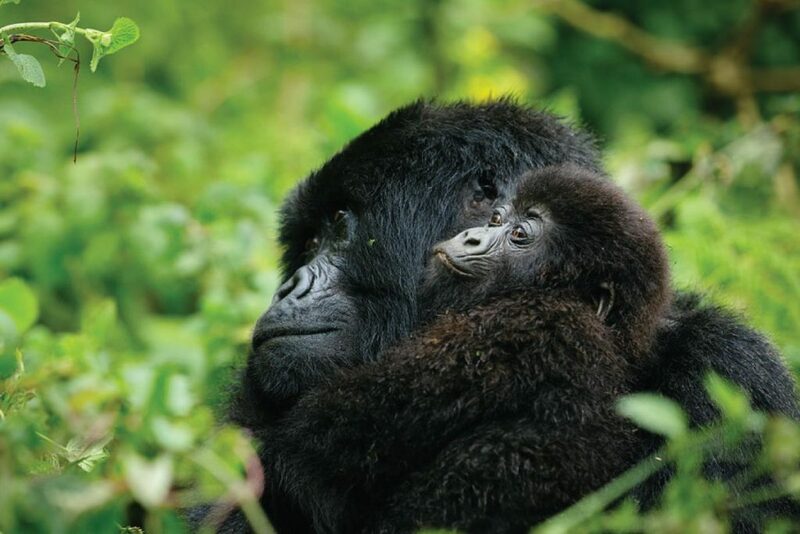 The guides will lead you inside the jungle to see the gorillas in the family/group you have been booked to see. Do not forget to take your lunch boxes and all the necessary gear to track the rare Mountain Gorilla, perhaps one of the most exciting wildlife experiences on earth. The tracking may take between 2 and 8 hours but it’s well worth the effort. If time allows on return from the jungle you may go for a village walk/community visit for a great opportunity to see how the local people live. Getting to learn about the indigenous people of Bwindi is a delightful plus to the memorable gorilla experience. Return to Kampala or head straight to Entebbe with a hot lunch en-route, to be dropped off at your place of residence or Entebbe international Airport for a late night onward flight home. Boat trip along Kazinga channel.